Well, seems as if +Comcast and company, via Big Cable, have thought that they could scam us into a two-tier payment system for internet access. Dead wrong, and now they’ve woken a sleeping giant in the American people and various groups fighting to keep net neutrality. 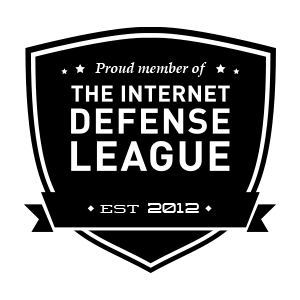 That’s right, I’m talking about groups like +Fight for the Future, +Electronic Frontier Foundation, etc. Hell, let’s throw +rootsaction in, just for argument’s sake. Anyway, the point is this: it’s time to tell companies like Comcast, +AT&T, +Verizon FiOS, +Time Warner Cable, that it’s time to end the games and to keep the net the way it is, open for everyone at the same dang speed.